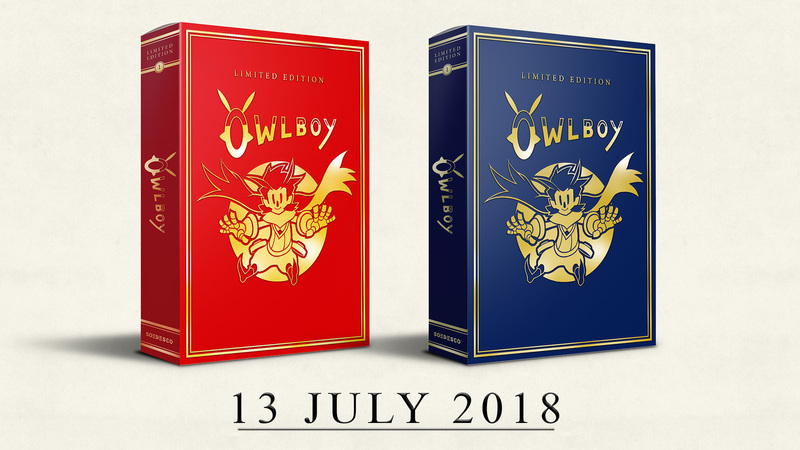 Just a few days ago, publisher SODESCO unveiled that a limited edition of Owlboy was coming to PS4 and Switch. Along with the July 13 release date, all the details are out on what this LE contains and it looks great. Obviously the game is included, but you'll also receive a certificate of authenticity, the soundtrack, a game manual, a notebook, some pins and coins with a box to store them and a sticker sheet. Talk about stuffed! Sadly, no price has been given for this just yet. The regular edition of Owlboy on consoles is going for $29.99, so I would imagine this is more expensive. Whatever the case, this LE is limited to 6,000 pieces, so you'll need to act fast if you want in. While I'm interested in grabbing the game on Switch, I'm very partial to the way the PS4 box looks.